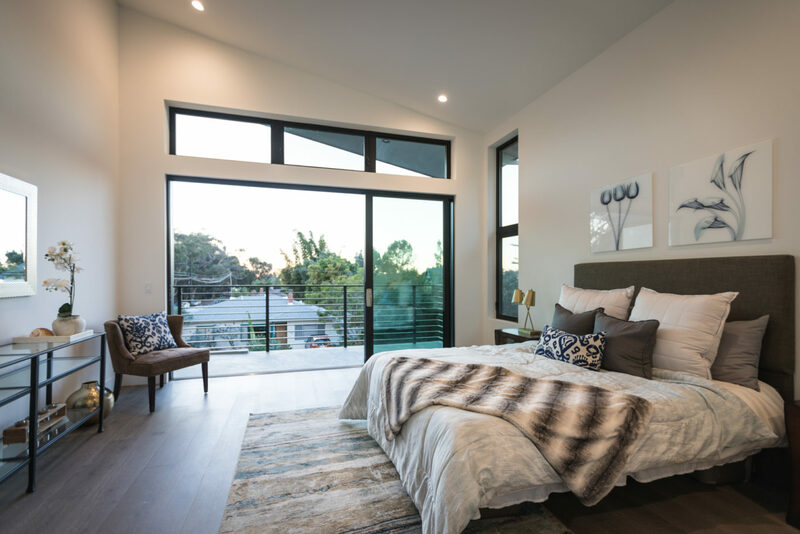 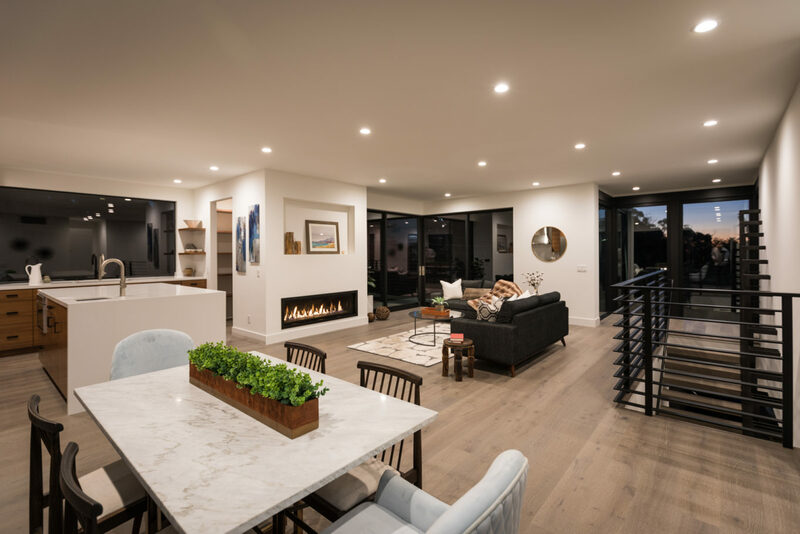 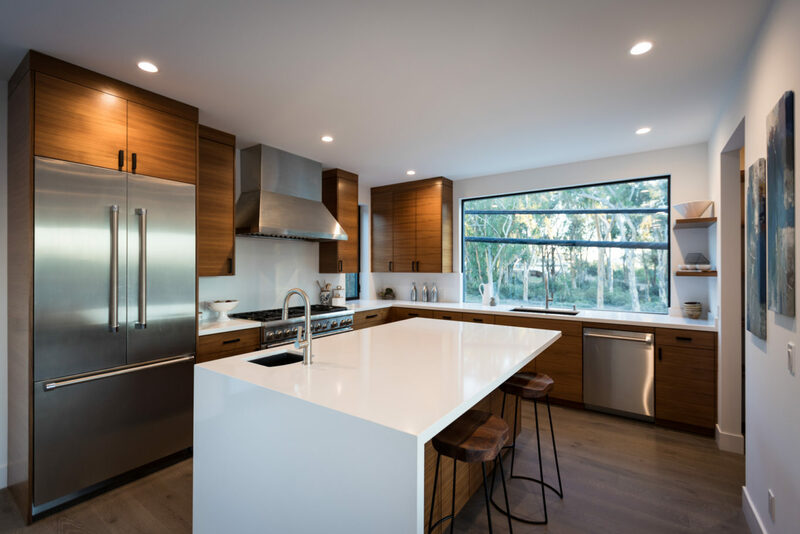 This gut remodel / addition features an an open plan living space and 2nd floor master bedroom. 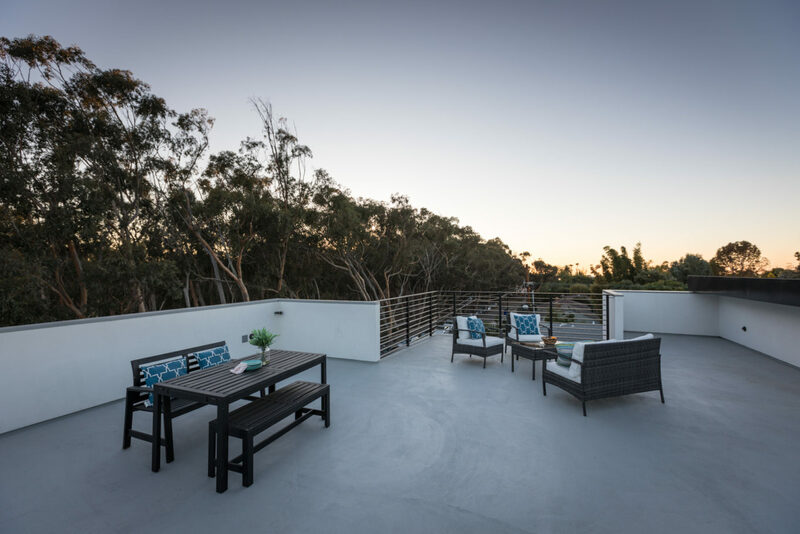 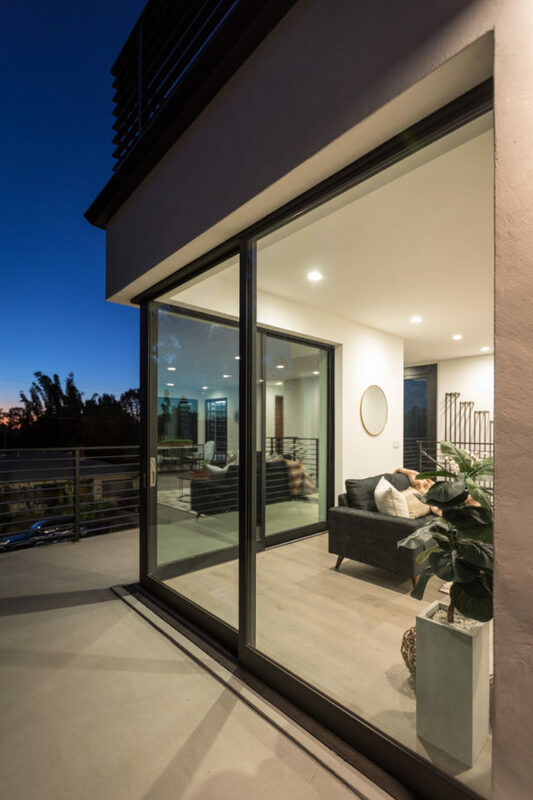 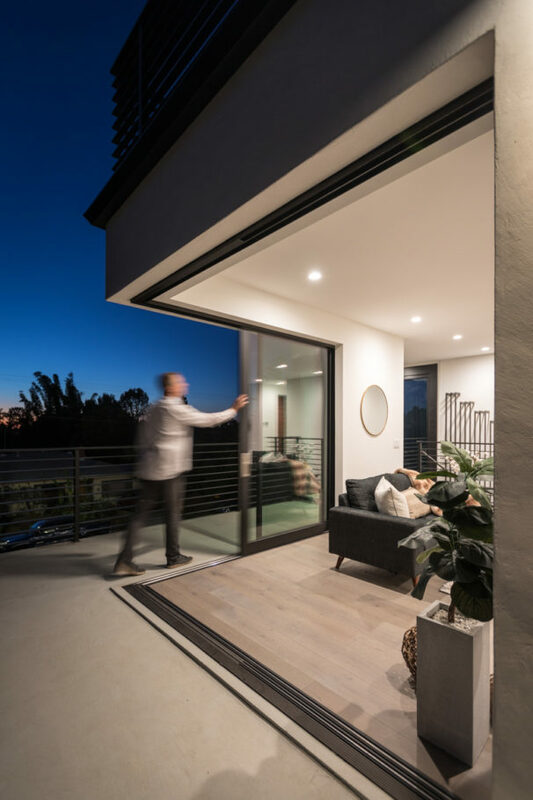 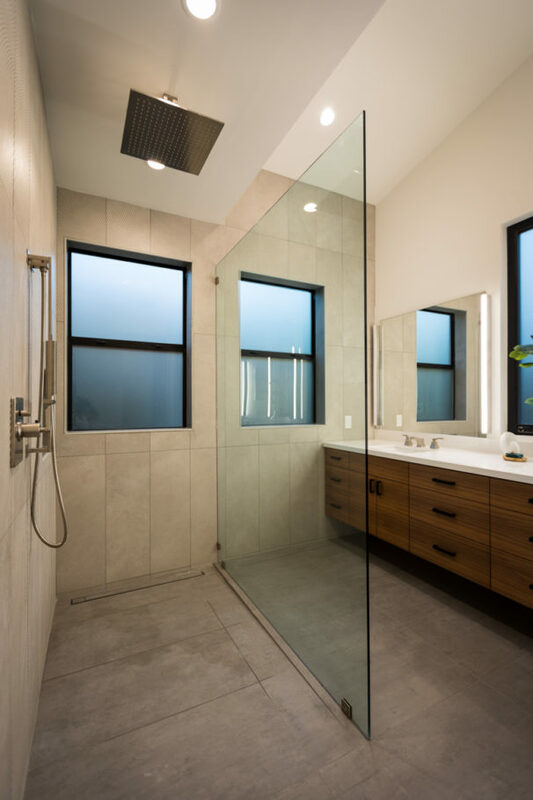 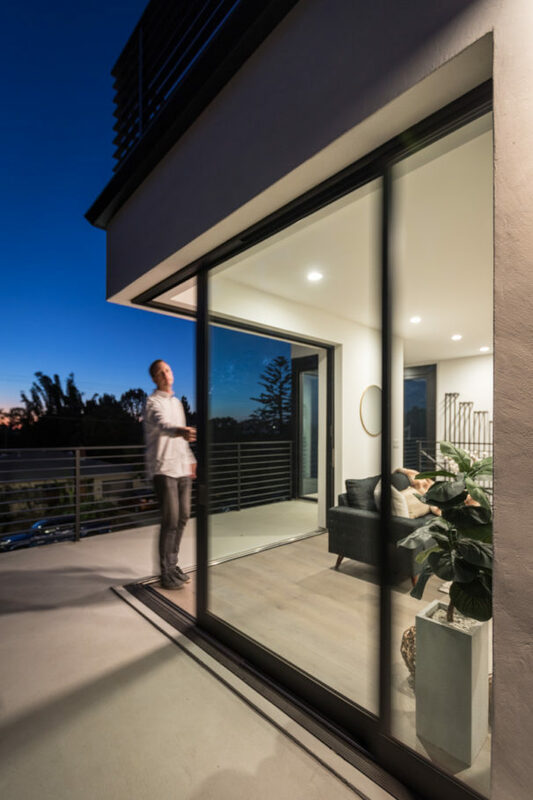 Multi-slide doors open to significant outdoor spaces including a large roof deck with views to the Pacific. 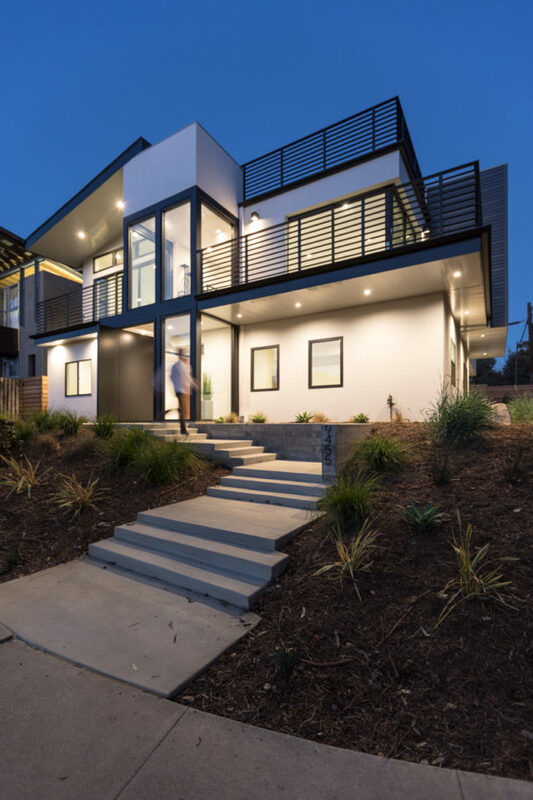 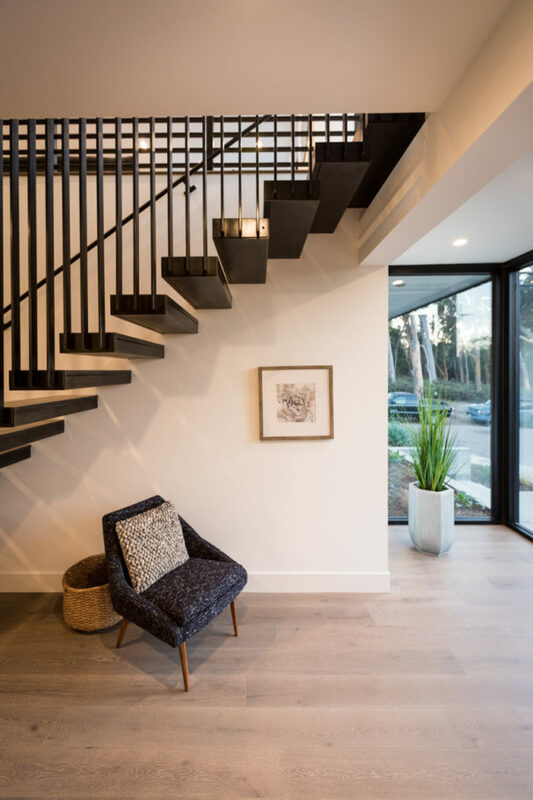 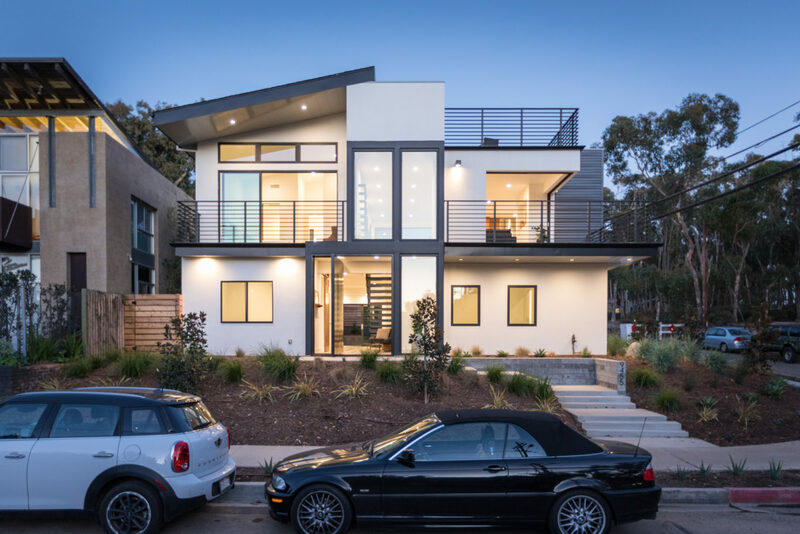 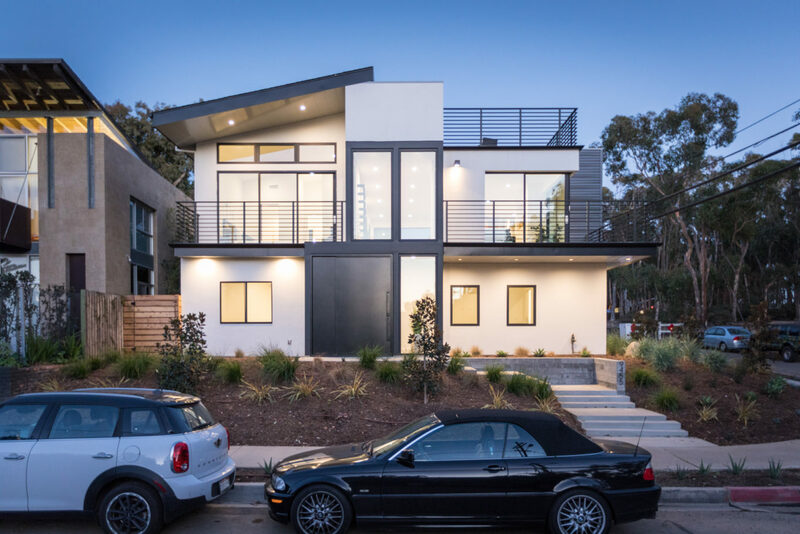 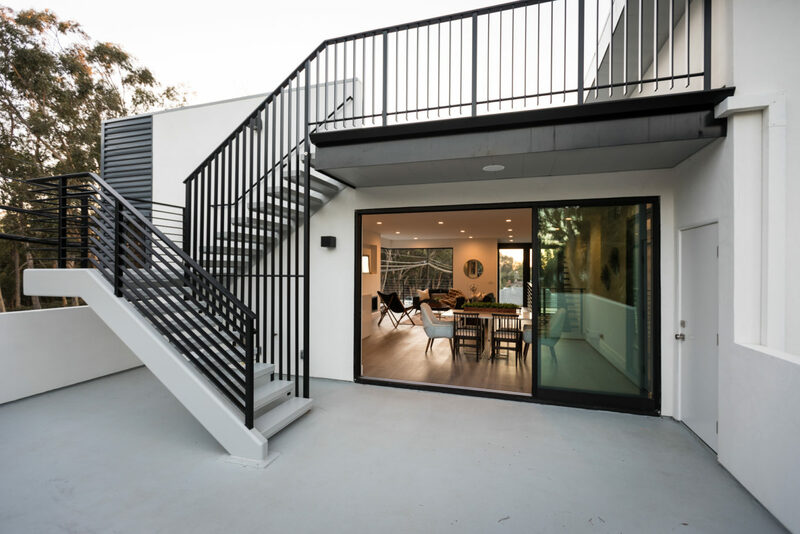 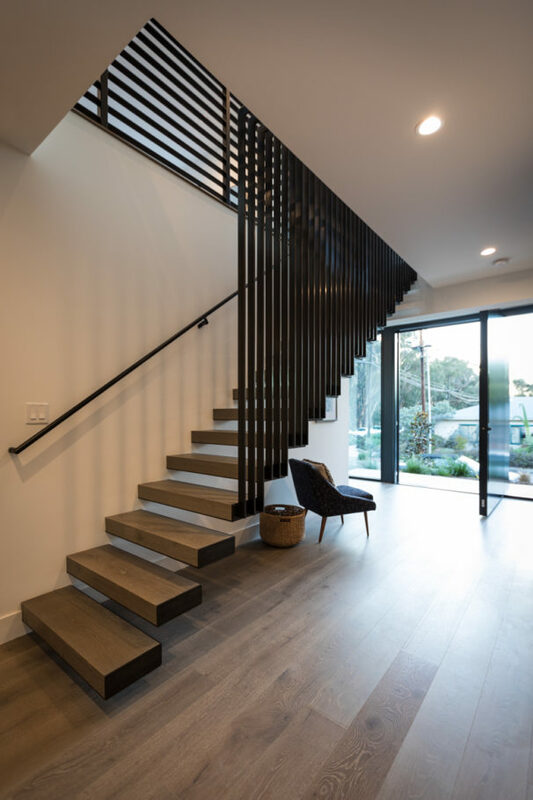 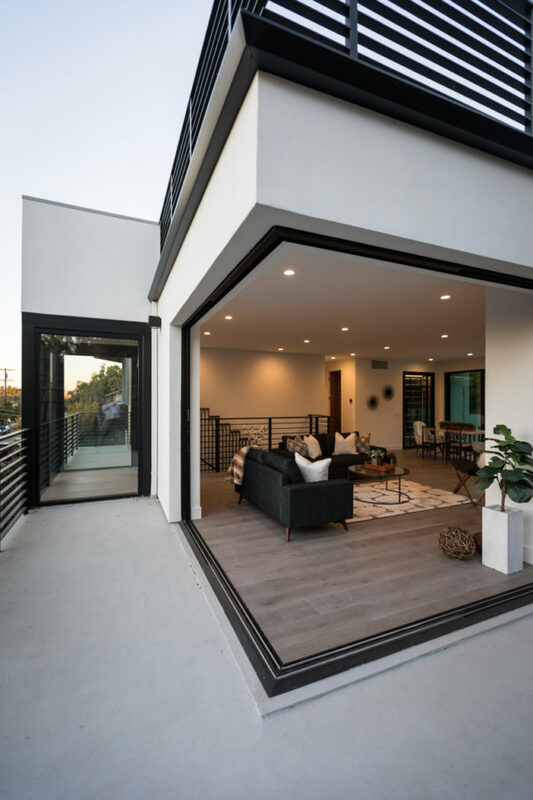 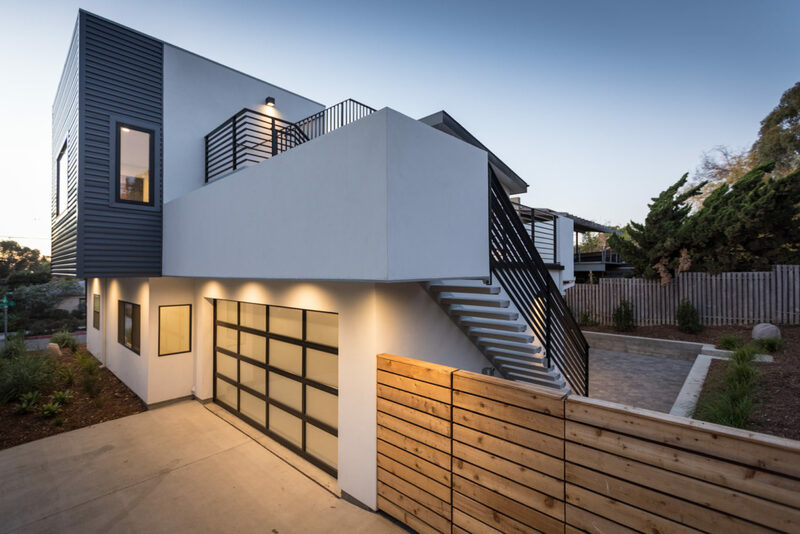 Smooth stucco, corrugated sheet metal, aluminum windows and doors and a custom steel entry door round out the material palette. 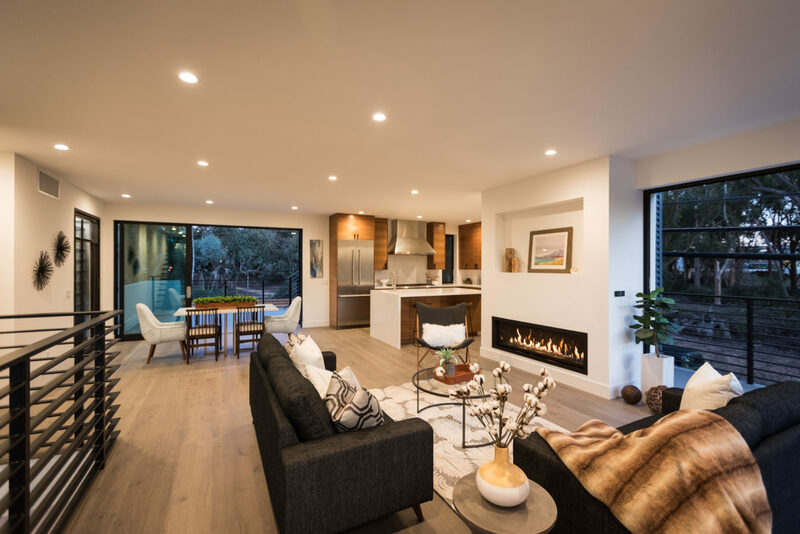 This is the second spec home completed with this particular developer.